Radhika Holmstrom examines research on how your socioeconomic position affects eye health in later life. Poverty is bad for your health: that’s been known for some time now. 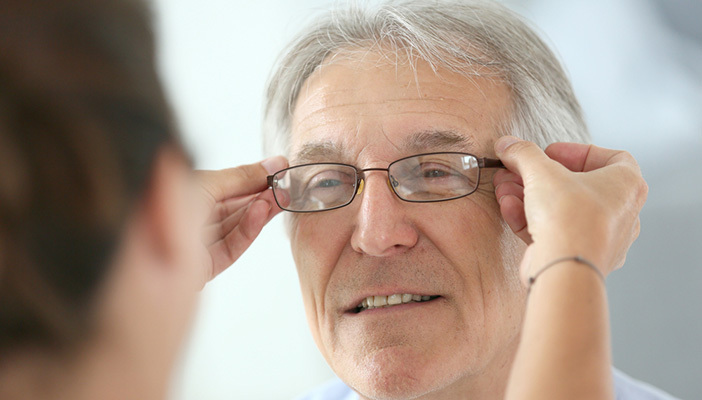 But until now, there has been very little work focusing on the socioeconomic determinants of eye health – and even less looking specifically at older people, who are the ones most affected by sight loss. A new report commissioned by the Thomas Pocklington Trust from the University of Manchester investigates the issue more closely, with the aim of establishing whether vision loss in people over 50 is more common in people in poorer social and economic positions; whether this deterioration further exacerbates their socioeconomic deprivation as well as their physical and social wellbeing; and whether there is also a socioeconomic association with treatment uptake. It is now widely acknowledged, from the World Health Organization down, that socioeconomic status is a crucial factor in overall health and indeed life expectancy. The research shows that taken across a population, differences in health and life expectancy follow the same gradient as wealth and social class (which are often – but, importantly, not always – the same thing). Some of this comes down to very obvious factors such as better access to health and social support, high-quality services and amenities, green space and unpolluted air. But in addition, a lot of the research to date has also argued that it is not just deprivation itself, but the extent of inequality between different groups that causes the damage. The research data for ‘Changes in vision in older people: causes and impact’ were based on the English Longitudinal Study of Ageing (ELSA), which has been running since 2000, with some additional data from the Irish Longitudinal Study of Ageing (TILDA). Respondents, all aged over 50, are interviewed every two years and supply comprehensive information about their health and wellbeing. This includes questions covering diagnosed eye conditions and treatment for cataracts, as well as a scale on which respondents classify themselves as having excellent, very good, good, fair, or poor vision (with an additional category of registered blind). The results were broadly to be expected. People from poorer backgrounds ran a significantly greater risk of developing both moderate and severe vision loss; and so were people who perceived themselves to have lower social status. The people in the poorest 20 per cent of the population had an almost 80 per cent higher risk of developing severe visual impairment than those from the richest 20 per cent. Leading on from this, the deterioration in their vision was related to increased depression and decreased quality of life, social engagement and income. This was most marked in the people whose vision changed from “very good” or “good” to “fair” or “poor”, whose levels of depression increased by 29 per cent and income fell by 19 per cent, compared with people whose vision did not change. The link between vision loss and depression is known – older people with sight loss are almost three times more likely to experience depression than people with good vision, and only one-third of registered blind and partially sighted people of working age are in employment. But Nazroo is still surprised, particularly by the dip in income over the two-year period analysed. “There was a major decrease over a relatively short period of time. And alongside that, we saw the deteriorations in psychological wellbeing and in social engagement.” Improvements in vision did bring the other factors up, although more in those people whose vision improved from “good” to “excellent” – so who were not affected by a major sight problem. Unsurprisingly, smoking, diabetes and hypertension were associated with an increased risk of developing moderate or severe visual impairment (but this is of course already well known). Obesity – a known factor associated with type 2 diabetes and with hypertension – is strongly linked to socioeconomic status for women and to some extent for men). And people in disadvantaged groups are less likely to give up smoking. “But over and above this, socioeconomic position exacerbates the risks,” Nazroo adds. Nazroo and his colleagues are clear that older people who are already socially disadvantaged are carrying a disproportionate burden of sight loss and that this has social and economic impacts, as well as affecting their wellbeing. This is not unexpected news, but it is the first analysis that can actually demonstrate that older people are being hit in this way.